The summer has just flown by and now it is time for the kids and teachers to go back to school. It is no different for us in Kentucky. Today is the first day of school and our children are excited about it. 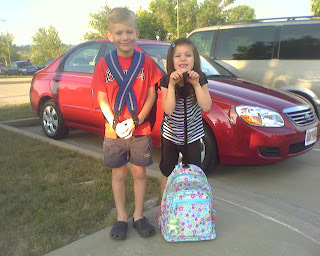 Here's a picture of the two of them outside their school this morning. Well, our prayers are with you, your students, and your teachers.